Today is the 200th day of Hashi Mashi for me. It is hard to believe, but I did start way back on June 21, 2012 and there have been so many changes, physically, mentally, spiritually. First off, let me start where I began, which have been the physical changes. I have yet to take any specific pills or vitamins. I have read that for someone living in the northeast, without alot of sun, vitamin D3 would be a wise choice. However, my main point that I want to make here is that there was no big rocket science. Anyone who knows me, knows that I am far from a rocket scientist. The best thing for me about Hashi Mashi has been the simplicity. No powders, formulas, bars, lotions, pills, frozen prepackaged meals. Whatever kind of food that you like, the less processed, the better. So for me, that has meant chucking the breads, pastas, rice, flour based products, cookies, candies, pizza, bagels, junk food. For you, it might be something different. Load up on vegetables and you cannot go wrong. Have some fruit or berries, nuts and seeds for snacks. Try tempeh if you are vegetarian and as free range/organic meats if you are not. Go for wild fish as opposed to farmed. Not too many rules here. And if you are at a wedding or celebration, have your piece of cake or wine. Make a L'Chaim, say cheers, nasdrovya, in any language, it is always understood how important it is to celebrate the best times of life with your friends and family. We all know intrinsically what real food is, usually you can find the real food on the outer edges of your supermarkets and the other 14 – 20 aisles in between is filled with the packaged and processed. True, the box has a lot more fancy photoshop work than a red pepper, but I would go for the red pepper over the chicken pot pie in the Box. I can also tell you, that at least my experience has been, that I do not miss the processed food at all, I feel so much better eating real food, I just don't have any desire for the other stuff. And I do not feel those cravings. Yesterday, I actually spoke to one of the commenters here last night, she told me that she has been doing Hashi Mashi for about 3 weeks to a month and has gone down a full dress size, from a 12 to a 10, feels a lot better and is excited to keep going. It is good to know that it is helpful to others out there. Please let me know your experiences. Now, besides the real food, we have what I have called the real strength as opposed to machine. The main exercise that I have been using is about as simple as you can get; pushups. I started with just one back on June 21. I have done pushups pretty faithfully, actually I would say every week, and just about every other day. One day a week, I do my max repetitions, and I rest for a day, then do 5 sets or more, rest one more day, or sometimes 2 days, and then do another 5 set day which I have been topping out at over 300 all together (on the 5 set days). Today, for my 200th day, I did 70 consecutive pushups. Now, for full disclosure, no, I do not touch my nose on every pushup, I do it the way I have seen the films or photos of the marines, which is to where my arm is parallel to the floor, I will have to read up on it more, but whichever the best way might be, I definitely get a big pump just from the way I have been doing them up until now, to parallel. My goal from the beginning was to be able to do 100 consecutive pushups, and I am getting there! I have a lot to tell you about over the coming week, but I wanted to emphasize that today, is the best day to start, go step by step, day by day, if you have 100 pounds to lose, do not let that be an obstacle at all, think of it like the challenge of climbing Mount Kilimanjaro. 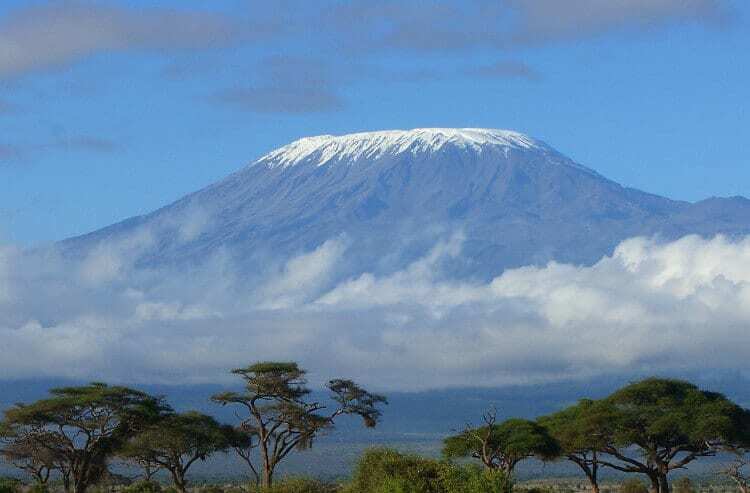 Tonight I had a wonderful conversation with my son who told me about his ascent up Mount Kilimanjaro and how the natives describe the essential requirements to successfully scale Kilimanjaro, 19, 341 feet above the plains of Tanzania. I was grateful to hear these gems and believe that they are applicable beyond the Mount. 1. ‘Pole Pole' (pronounced like Polee Polee) go slow, go step by step, because the people who try to conquer the mountain fast, they burn out. I think that Poli Poli is very consistent with the approach of gradual improvement. Poli Poli is absolutely the only way that I have gotten to this point in strength, pushups, weight loss, better mental attitude and confidence. The improvements did not happen over night, they did happen gradually, step by step. 2. Stay hydrated – drink water, drink in the essential nutrients that you need. If you have 75 pounds to lose then have the essential nutrients that you need, vegetables, lean protein, water. If you are over weight, you definitely do not need more than the essentials. Eat healthy food, stay hydrated and you can conquer the mountain. 3. Hakuna Matata – dont stress, because that uses up precious energy as well. I do not know if most people think of their stress as using up precious energy, but for me, when I heard Hakuna Matata used in that context from my son, it was an eye opener. Think of all the energy that we expend stressing over many things that we just cannot control. If you want to overcome obstacles, Hakuna Matata, do not stress and waste your energy, just stay hydrated and go step by step, gradually until you meet your objective. So Today is the best day to start or continue, make sure some or all of your meals are primarily real food, vegetables, fruits, nuts, seeds, beans (if you can handle them), meats, fish, tempeh. Pick some real exercise, whatever it is, biking, hiking, pushups, sit ups, just something that you can get under your belt. Don't give up. Start now. Getting focused on real goals for yourself is the best way to lift your spirits as well, if that is also on the table. Being productive is an accomplishment in and of yourself. You will thank yourself 200 days for now, and so will your family! Please share when you can. Thanks!